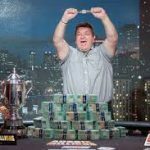 Roland Israelashvili, a quiet poker pro most casual fans aren’t familiar with, has made the money in the first four WSOP Europe events, putting him at 94 career World Series of Poker cashes. That’s good for seventh all-time, and just one behind the great Men “The Master” Nguyen. Also over in Rozvadov, Czaech Republic, Florian Sarnow final tabled two events within 24 hours. The German finished second in the €1,100 No-Limit Hold’em Turbo Bounty for €37,678 on Wednesday. He then registered for the €550 Pot-Limit Omaha 8-Handed and ended up in eighth place (€5,198). Thursday was another exciting day at King’s Casino. You’re likely familiar with Phil Hellmuth, Daniel Negreanu, and the others atop the all-time WSOP cashes list. But you probably couldn’t pull 58-year-old Roland Israelashvili out of a lineup. The New York native finished 17th in the turbo bounty (€1,960) and 40th in PLO (€1,224). 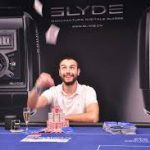 He now has four cashes this series in four events, but only for a total of €7,889. Despite cashing in every event, he’s turned just a €4,039 profit after subtracting the €3,850 in buy-ins. That’s par for the course for this min-cash specialist. Despite having cashed in 94 WSOP events, he’s never won a bracelet. In fact, he hasn’t even made a final table since the 2013 Little One Drop (third place for $295,433). And that covers a span of more than 60 cashes. 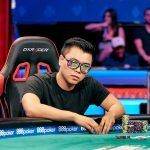 It was also his highest finish in any World Series of Poker bracelet event. 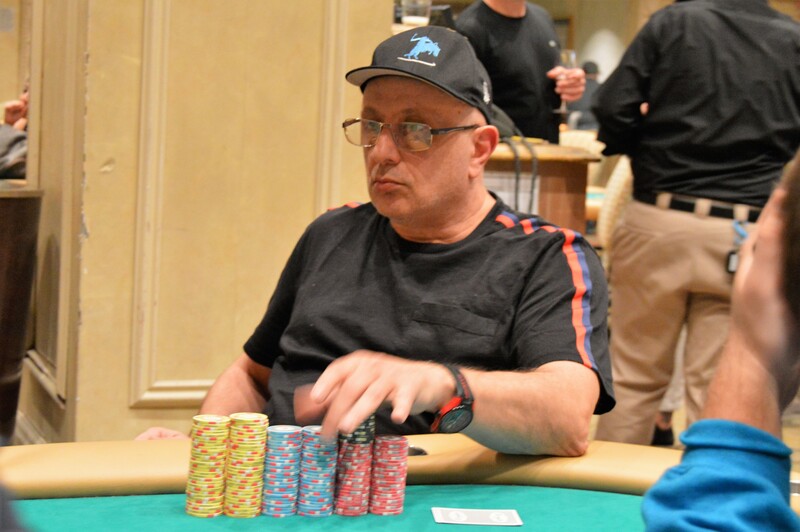 Israelashvili now has 18 cashes between the 2018 WSOP in Las Vegas and Rozvadov. All but two have been for less than $10,000. Every other player in the top seven in career cashes has at least three gold bracelets to their name. Hellmuth, of course, leads the way with 15. We’ll call him the Kansas City Chiefs of the WSOP; always competitive, but never championship material. Florian Sarnow’s only bracelet event cash was an 840th place finish in the 2016 Colossus in Las Vegas heading into the 2018 WSOP Europe. But on Wednesday and Thursday, he not only added a pair of cashes to his tiny resume. He final tabled both events. The impressive run began with a runner-up finish in hold’em (€37,678). He got back to another final table the following day, this one PLO, and hoped to get over the hump and win his first bracelet. Unfortunately, for the German, he was the first to bow out at the eight-handed final table (€5,198). After collecting his PLO winnings, he jumped right into Event #5, €1,100 Monster Stack. Busy day. HOPE SHOW YOUR BRACELET, AND WE CAN ONLY CAN WISH GOOD LUCK! Just because not hyped as big-cash 1st places tournament winners or online grinders. For sure his winnings total are huge, actually that in the thread are already huge. I read an article about this player,pity that he had not won,not once in a big tournament,but still for the money it has a good prize it’s better than nothing at all to win! Really, I’ve never heard of it. This is fascinating, how many great people like this one prefer to remain anonymous instead of exposing their genius?